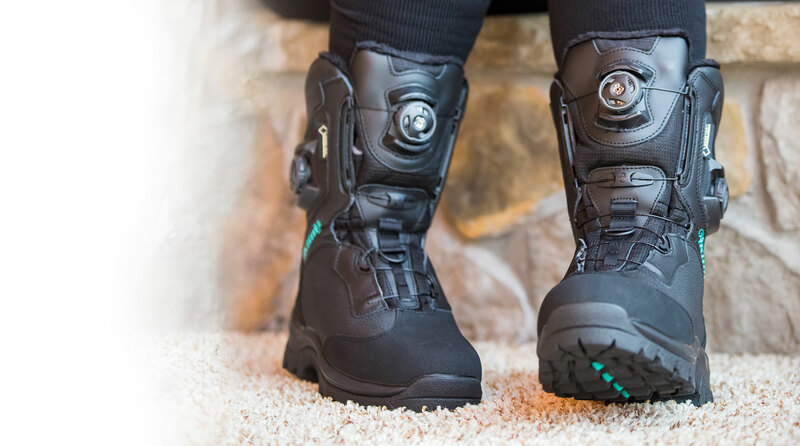 KLIM®’s commitment to the female riding enthusiast continues with the all-new AURORA BOA® BOOT. Designed to mimic the performance of the all-time-favorite men’s ADRENALINE, the AURORA BOA® incorporates female-specific geometry and sizing with the unmatched comfort control and security of the BOA® lacing system. Best ladies boot on the market! Supportive, warm, waterproof, easy to put on, awesome grip, and so cute! Glad I bought the BOA! <br>Put a lot of thought between various brands and went with Klim because of their reputation and the fact that I have never had an issue with Klim gear. <br>When I got them, I walked around the house for about 3 minutes and then jumped on my sled in the garage. Hopped around, side to side, over the seat and the boots felt great! Rode with them this weekend and I was really happy! 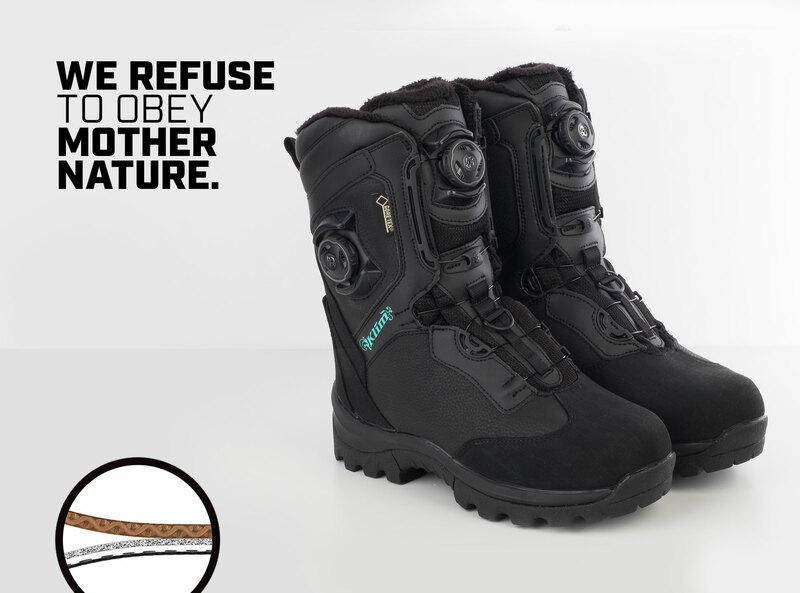 <br>No breaking in needed, very comfortable, warm, solid sole had super grip and felt good. Typically, I am an 8.5 so I ordered the 9. Put the little insert in and was ready to go. After my ride, I bent over, pulled the BOA knob thingy and the boots were off. So much easier to put on, get comfy and then take off. I just wear regular snowboard socks, one pair. <br>I made the right choice and the money was worth it. I love these boots! Super comfortable, no break-in period and durable against unforgiving running boards. The BOA makes them so easy to get in and out of. Totally worth it! Best boot ever! I always come off the hill with warm and dry feet, which is important to me since I gold cold easily. The Boa system is awesome (much quicker and easier than laces), the boots provide great support while still being lightweight, and the soles hold up well to even the most aggressive running boards. Love them! !